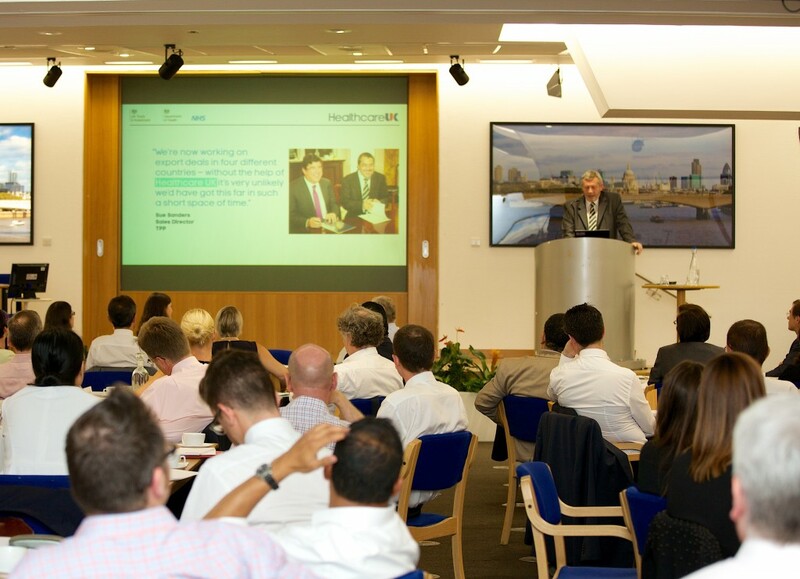 We had around 80 attendees from both private sector and public organisations. Some of whom we are already working with, and other organisations who are exploring opportunities overseas. Howard Lyons (Managing Director) kicked off the event with an introduction to Healthcare UK, an explanation of how we are governed (as we are joint funded by UKTI, the NHS and Department of Health although we sit within UKTI offices which often causes confusion) and highlighted the successful number of service deliveries and value of business wins achieved in the last 18 months. We opened the floor to questions and feedback directly from stakeholders. Some challenging comments and questions were put forward to the panel members. Individuals shared similar concerns with exporting overseas, particularly on risk management. It was great to receive positive feedback for the support we have given to organisations who are now successfully working overseas, along with lessons learnt. One of the questions we asked our stakeholders was “have we identified the right countries (to promote UK expertise)?”. The feedback was positive; attendees largely agreed we were striking a delicate balance between breadth of global coverage and depth of market intelligence. We will keep an eye on this to ensure balance going forward. There was a general consensus that our propositions were correctly identified, although a few comments were raised that maybe not all propositions are equally relevant in all the proposed markets. The event was a great opportunity for open dialogue; feedback has been recorded and is currently being reviewed. This will inform our future approach to supporting UK organisations win business overseas. We look forward to working more closely with our stakeholders over the coming year. You can find more info and see the slides from the event by clicking here. If you have views you would like to share on Healthcare UK’s target markets and propositions, or you attended the event and would like to share your comments, please leave them in the comments box below.